Watch our snapper pie being made! The Garfish snapper pie is an all time favourite among our diners, so here’s a quick demonstration of how this much loved dish is made. Using snapper fresh from the fish markets, we roast the fish in the oven then combine the snapper, broccolini, garlic and soubise sauce in a dish. Executive Chef, Stewart, isn’t giving any secrets away though! 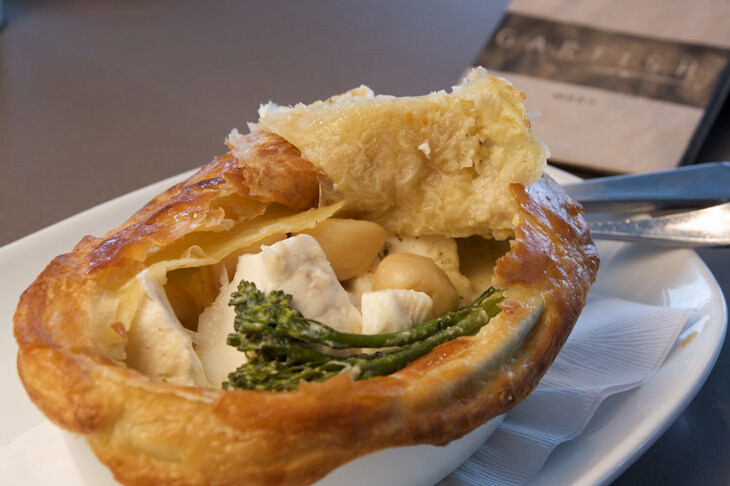 Our Garfish snapper pie w/ roasted garlic, broccolini and soubise sauce is available at all three Garfish restaurants.